Blue State Coffee Latte Throwdowns: Winner- round 20! Congratulations to Christopher Wilson- winning one of the most fiercely competitive rounds yet (18 people submitted art) with the latte below! 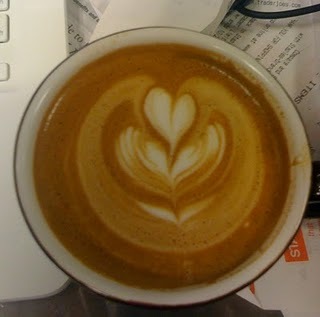 A good tulip is no easy task, and this latte shows great symmetry, control and color infusion.